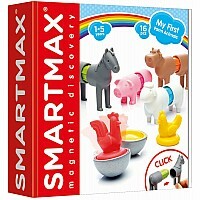 The extra-large My First Animal Train and animal parts easily click onto the bars. 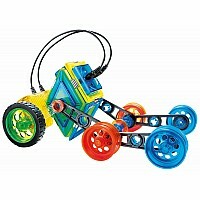 Build & drive your own train, play with the animals and the train driver or “mix & match” to create the craziest combinations! 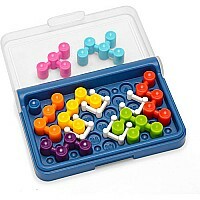 All parts are 100% compatible with all other SMARTMAX® sets. 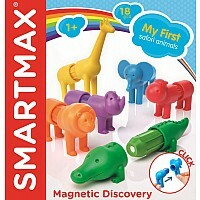 Young children (+18 months) can safely discover the magic of magnetism with the SMARTMAX® “My First”-collection.